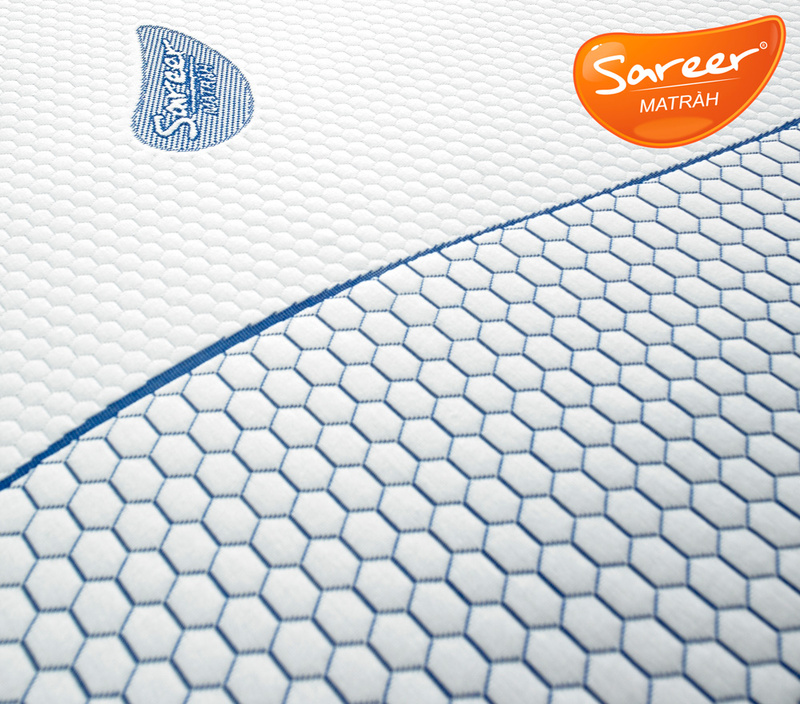 The Sareer Cool Blue Memory Foam Matrah provides a top comfort layer made of a specially developed extra soft material for a feeling of instant relaxation. Working in perfect harmony with the lower support layers, once you settle into your most comfortable position your body weight is redistributed reducing pressure whilst you sleep. Support, comfort and durability are uncompromised while you experience less tossing and turning during the night and wake up feeling refreshed. An advanced Memory-Foam CoolBlue™ has been developed and engineered to oﬀer the same ‘feel’ and pressure relieving properties as the equivalent density (75kg/m3) visco-elastic memory foam but without the associated heat discomfort. 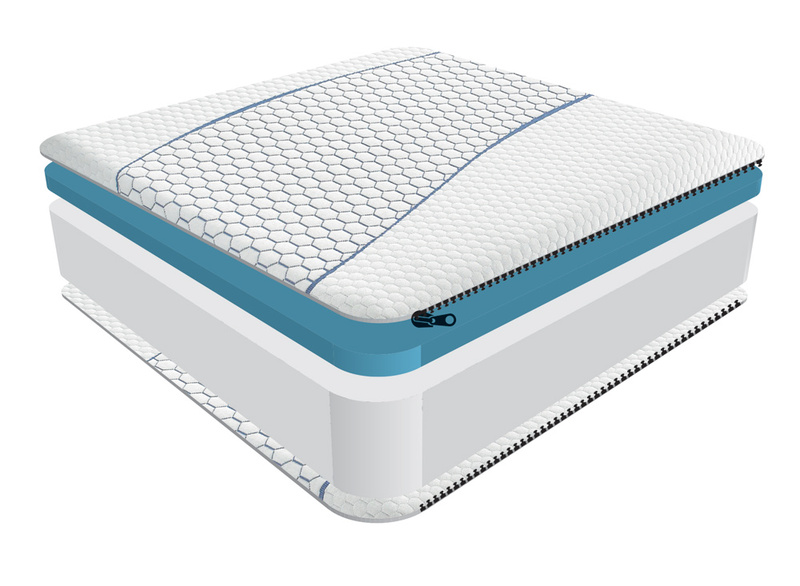 CoolBlue™ also features Ultra-Fresh™ anti-microbial protection for the ultimate in mattress hygiene. 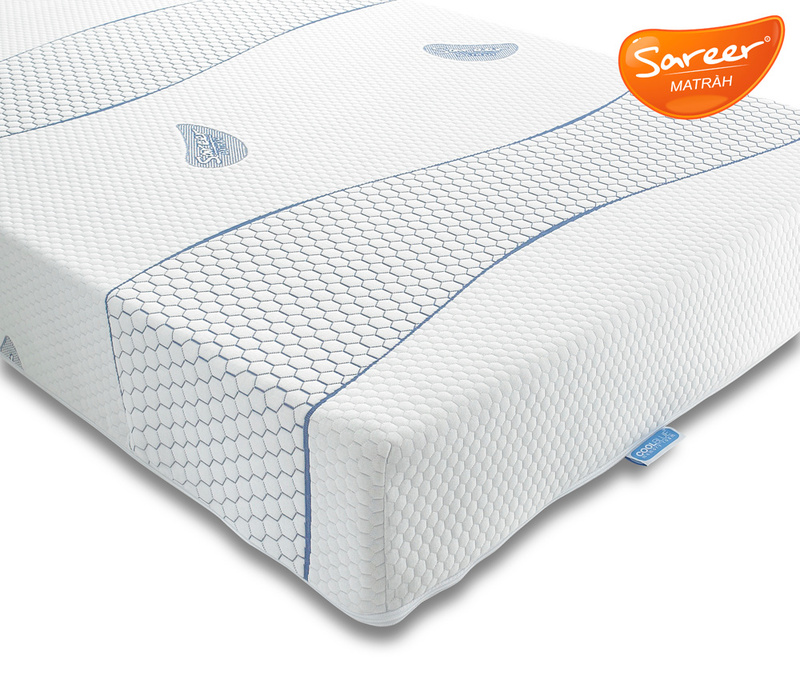 As well as moulding to your body's natural sleeping position, the specially developed Sareer Cool Blue Memory Foam Matrah's extra soft material is designed to regulate temperature and humidity, maintaining a pleasant sleeping environment throughout the night.